Gas prices rose in Honolulu but remained unchanged in other local metro areas during the last week, according to the AAA Hawaii Weekend Gas Watch. 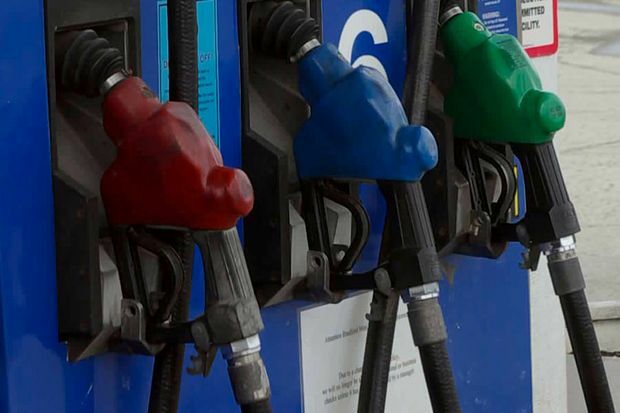 Today’s statewide average price is $2.58, up two cents from last week, up seven cents on this date last month and 51 cents less than a year ago, according to the www.AAAFuelGaugeReport.com. In Honolulu, today’s average price is $2.42, which is three cents more than last week, down nine cents since last month and 56 cents lower than last year. The Hilo average price is $2.59, the same price as last Thursday, a nickel higher than last month and 51 cents lower than on this date a year ago. Wailuku’s average is $3.12, the same price as last Thursday, five cents more than last month and 12 cents less than on this date a year ago. “Although prices are typically expected to move higher leading into the summer driving season, consumers will likely continue to benefit from comparative savings due to the overall abundance of supply and the lower price for crude oil,” according to AAA Hawaii General Manager Liane Sumida. A snapshot of mainland average prices: Drivers in California ($2.78) are paying the nation’s highest averages at the pump. Gas prices in the Golden State have moved higher due to regional supply challenges, though these issues reportedly have begun to ease. Regional neighbors Nevada ($2.44), Washington ($2.29) and Alaska ($2.29) join in the rankings as the nation’s most expensive markets for gas. Averages in nearly half (22) of the states are below the $2 per gallon threshold, and motorists in Oklahoma ($1.80) and South Carolina ($1.83) are paying the lowest prices at the pump.